Whether you are restoring house windows or updating them completely, Modernize is here to help you find replacement windows in Tampa, FL. We can connect you with the right company for whatever window replacement needs you may have. Tampa area residents purchasing new windows for their home must consider several factors before signing on the dotted line. It may be that your existing windows are no longer functioning as they should or you require windows for a room addition or newly constructed house. Whatever the reason, you will benefit by understanding how your area’s climate and regulations will influence the type of windows you choose. Replacing worn or dated windows in your Tampa home with new energy efficient windows offered today provides a significant impact to your home’s style, efficiency and curb appeal. Before purchasing new windows for your home, it is important to take into account the following factors. Because Tampa is in a humid, subtropical climate zone, it would be wise to choose windows that are designed to stand up to these elements. The weather of Tampa is best described as hot and humid during the summer with frequent afternoon thunderstorms. Winters are mild and dry with freezing temperatures occurring about every two to three years. Tampa has their own set of building codes, ordinances and permit requirements that will help to point you in the right direction when purchasing new windows. Property owners can contact the City of Tampa’s Construction Services division for all construction permit and inspection needs. Their contact info is 1400 North Boulevard, Tampa, Florida 33607. Office hours are Monday – Friday 8:00 A.M. 4:00 P.M. Telephone number 813-274-3100; Fax 813-259-1712. Windows engineered for the Tampa region must stand up to the varied weather patterns that are tropical in nature and can include hurricane force winds. Properties lying in the new wind-borne debris region — Pinellas county, all of Tampa city limits and most of Hillsborough county — and valued over $750,000, or newly constructed homes, must have opening protection. Opening protection requires that all windows, doors and skylights be fitted with devices designed to protect them against hurricane force winds and debris. So windows must be hurricane rated/impact resistant. Several factors must be considered when purchasing new windows, but none carries more importance than the frame material and its resistance to the applicable climate. Wood — Provides a unique appearance along with color versatility as it can be both stained and painted. Drawbacks would be that it is not as durable as other window frame materials, requires more maintenance and upkeep and subject to termite damage. Species of wood commonly used for window frame fabrication are fir, mahogany, alder and pine. Vinyl — A tough plastic like material that is sought after because of its durability, weather and insect resistance. Vinyl will not rot, peel or fade. Aluminum — This corrosion resistant metal is lightweight, strong and performs well in most climates. Fiberglass — Fiberglass provides a strong layer of metal covering the exterior surface of wood frame windows. The extra protection is beneficial in extreme climate zones. The benefits of a clad-wood window is that it provides the sought after appearance of wood to the homes interior while utilizing a tough outer shell to protect against the varied weather conditions found in Tampa. Most property owners must work within their budget when replacing or installing new windows. In general, wood and fiberglass windows carry a higher cost than vinyl or aluminum framed windows. A single pane window is less expensive than an energy efficient double paned window. Hurricane rated impact resistant windows carry the largest price tag because of their improved strength and energy efficiency. Keep in mind that replacing old, broken and inoperable windows with new windows can significantly increase your property value and adds a useful marketing feature should you decide to sell your home in the future. 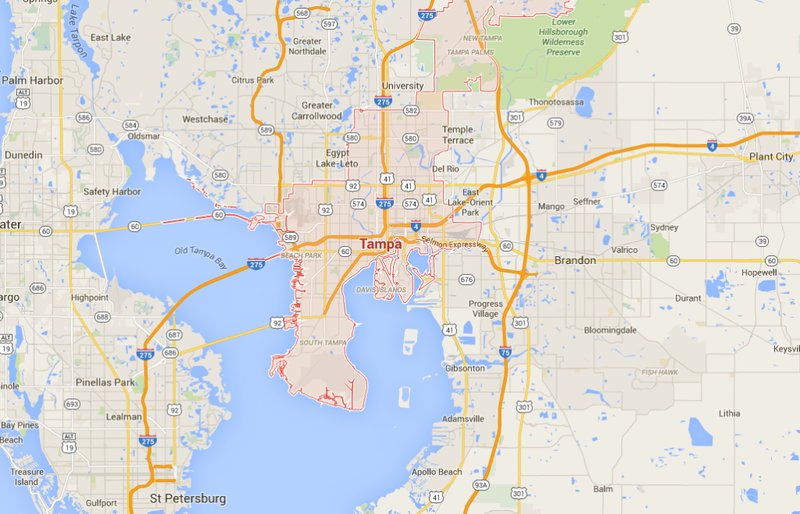 Tampa has many options to choose from when buying new windows. Of course, there are always the big box stores that have an ample supply of popular types and window sizes on their shelves. They also provide special order services for types and sizes they do not stock. You can purchase new windows through one of the many window supply companies located throughout the Bay area who also offer installation services. It is to your benefit when hiring a window installation contractor that you validate their license, insurances and ask for references. Contractor referral services are a good place to obtain a list of reputable contractors in your area. The BBB “Better Business Bureau” is another valuable resource where you can determine if any complaints or lawsuits are pending against said contractor or window supplier.